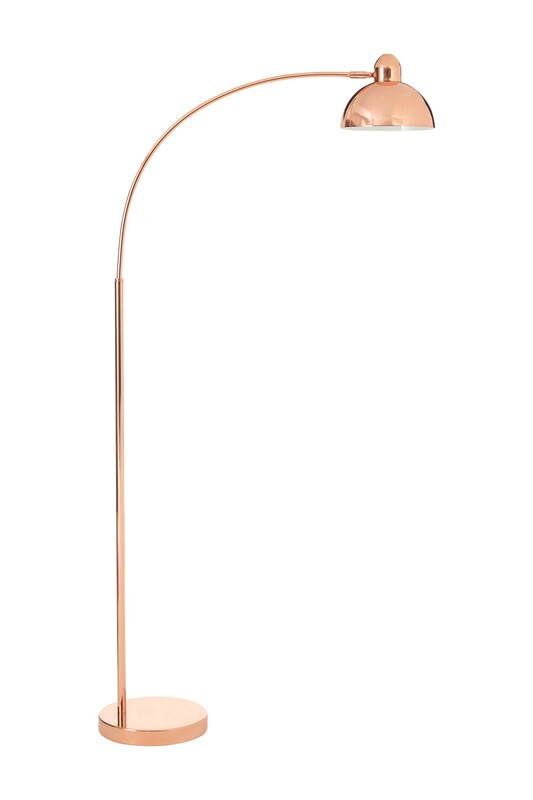 The Calle floor lamp looks great placed in a corner or adjacent to a sofa or armchair. Its bowed stem suspends a rounded lamp head which directs the light downwards, ideal for producing a direct, zoned pool of light. Made from strong metal, its copper finish brings a touch of metallic warmth to its surroundings.